As I’ve gotten older, my hair has changed tremendously. In the past ten years, my naturally loose waves have blossomed into full blown frizzy curls, and my once dreadfully oily locks now constantly beg for moisture. One friend recommended that I start co-washing, or conditioner washing, solely using conditioner to wash my hair. Since most conditioners contain some type of cleansing agent in them already, this method has been popular in the curly hair community to clean while keeping hair hydrated with minimum frizz. I wanted to find out more, so I spoke to Taryn Devlin, hairstylist and cosmetologist at Best Face Forward Makeup Studio in Brooklyn, NY, who told me all I needed to know about the hair care regimen. Read on to discover if you, too, should start co-washing your hair. Taryn: Co-Washing is a method of cleansing your hair with a cleansing conditioner or regular conditioner instead of shampooing. Eliminating shampoo may sound absurd to most, but this method of cleansing– if done correctly– can be beneficial to your hair! Adding co-washing to your hair regimen is perfect if you have locks that tangle and/or dry out after a shampoo. Should I be co-washing my hair? Co-washing is ultimately meant to cure dry and damaged hair, so if your hair is dry in general or from chemical treatments like relaxers or colors, co-washing can restore the moisture you’re looking for. If you have oily hair, co-washing is not for you. Oily hair types require shampooing to get your hair back from stringy to fluffy, and co-washing simply won’t cut it. If you have any abnormal skin conditions on your scalp, co-washing may irritate or even worsen it. If you’re prescribed any shampoo by a dermatologist, never eliminate it to co-wash! What types of conditioners can I use? While there are tons of cleansing conditioners popping up in salons and drugstores, you can always use a regular one, too. However, you’ll want to avoid conditioners with silicone ingredients, as these will actually build up on your scalp instead of cleanse it. Silicone or synthetic ingredients usually end in -cone. Also, deep conditioners are not for co-washing. Deep conditioners contain more ingredients that stick to your hair and are meant to treat freshly shampooed tresses. Whether you use cleansing conditioner or a regular one, the majority of the conditioner should always be rinsed out of your hair. How frequently should I co-wash my hair? The idea in co-washing is to add moisture to your hair and cleanse, whereas shampooing is primarily to cleanse only. 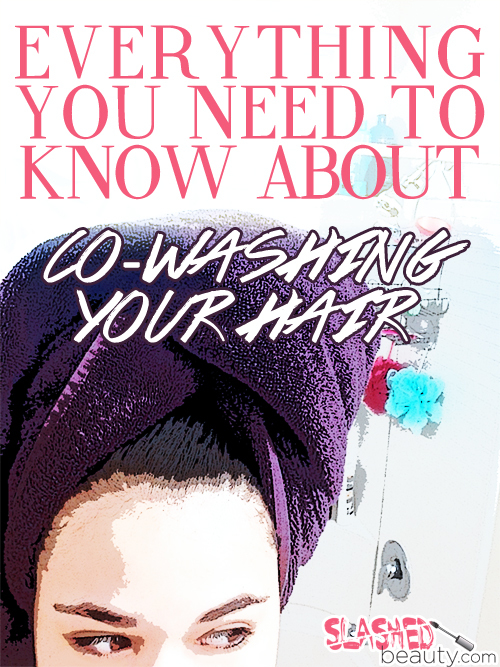 So anyone who co-washes should do so in relation to how dry your hair is after it’s been a few days since the last co-wash. That could range from a few days to a week or two, it’s all about getting to know your hair type. Do I stop using shampoo altogether? When it comes down to it, shampooing will ALWAYS cleanse your hair better than co-washing, which is why you should not totally eliminate shampoo. Shampoo offers a fresh, full cleansing of your hair and scalp. Using a sulfate free shampoo every so often in between co-washing will help your efforts be more effective. It will relieve any temporary irritation on your scalp like itching, or mild dandruff, as well as remove the excess build up that co-washing won’t get over a period of time. Shampoo cleanses better than co-washing, and co-washing cleanses better than water. If your hair starts to feel mushy or stretchy, this is because— like any wet treatment on your hair— water breaks down the follicles, making your hair very fragile. At this point, a shampoo sesh will be needed. I’ve learned that my thick mane only needs to be washed about once a week in order for it to feel clean and healthy. I think I’ll start co-washing every other week, and will update you in the months to come! Do you have any experience in co-washing your hair? Have you seen a difference? Next articleAllureBBA: I’m Still in the Game! Good news – oily hair girls can co-wash too! My hair needs washing daily with shampoo, but cowashing means I can go every other day now. The trick is to buy volumising conditioners for fine and/or oily hair, cheap runny ones are best (try shops own brand conditioners). Really rub it in all over the scalp and rinse throughly. My fine, straight oily hair looks every bit as good as when I use shampoo. That’s a fantastic tip, Melony! Thank you! Dude, that’s a fantastic idea! I’ve been so stumped as to how to avoid harsh shampoo and simultaneously avoid stringy hair at my scalp. I have an expensive volumizing conditioner from Aveda, sulfate free, that I stopped using because it was no good for the dry ends of my hair, but I think it will work great as a shampoo. Thanks!! Great post!! 🙂 I co-wash and I love it!! I chemically treat my hair (Keratin and Japanese thermal straightening), and I can’t use sulfates. I also dye it. I didn’t know it was called co-washing until now haha. It is amazing on my hair. I can go a couple days before it gets oily again. The only hard thing, is finding products and conditioners without silicones!! I would love a list if you know of some. I have never heard it being called co-washing before. 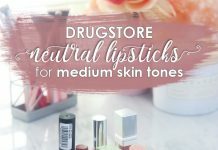 i’ve never heard of this, i am going to add it to my regimen! I have never heard of co-washing before! I try to dry shampoo as much as possible but I do think it’s a bit drying. Agreed! I love dry shampoo if I’m feeling oily at my roots, but it makes the rest of my hair feel a bit too dry. I need your tips because I want thick hair like yours ! If this means taking a shower and only using conditioner in my hair then I’ve been doing this for about 10 yrs. I shampoo AND condition 2-3x/week as needed but everyday I condition it. That definitely counts as cowashing! I could never get my hair wet every day though, all my styling efforts would be thwarted! I love cleansing with my conditioner. But I don’t co-wash my entire head, just the ends. I use Wen conditioning cleanser and I love it. My red hair color lasts forever. I do use a color shampoo every couple weeks to clarify the buildup. I was so puzzled as to what co-washing was – I thought you meant taking a shower with someone else in there with you! LOL … then I realized what it was, and it’s a better word than no-poo! I only wish I had thick curly hair like yours (grass is always greener on the other side…LOL)! I have thin and fine hair. But I have found that only washing my hair 2-3 times a week has really helped my hair grow and look healthier, plus I don’t remember the last time I used a blow dryer on my hair. I use curling iron with a heat protection spray, but that is it. Thanks so much for this in depth article. My fine hair would be flat as a board if I co-washed it. I have fine hair so co-washing didn’t quite work out, but I learned to avoid certain ingredients, and now my tresses definitely look a lot healthier. I’m glad you found a solution that works for you! Is your hair on the thinner side? I love my hair so much more now that I only wash it every 5-7 days or so. It really doesn’t need to be stripped of all the oils every day. I use Deva Curl every 3rd or 4th wash. I really like it – it smells amazing, and my hair does respond well to it. I also love their towel. after I squeeze the excess water from my hair, I twist up the long part in their towel, and then tuck it all up in a Turbie Twist to help it dry out a little before I put product in. I, too, only wash my hair about once a week. Otherwise, it gets WAY too dried out and straw like! my hair was getting so dry at one point that my hair dresser told me the same thing! I did! I always do what my hair dresser tells me too 🙂 It definitely helped. My scalp gets so oily I usually just shampoo the top and put conditioner on the bottom lol Dang oil. I have curly hair and read a book called Curly Girl and they recommend not using shampoo at all but cleaning your hair with conditioner and it really helps! I go through 3 bottles of conditioner to probably every 1 of shampoo anyways. Very informative post! I think I´ll try co-washing hair on my colortreated hair. Hmmm interesting. My hair is so fine and lifeless that I’m wary to try stuff like this. My scalp has a tendency to flake, as well. Yes, perhaps cowashing is not for you because it might end up weighing it down. This is so interesting! I have thin hair so I think this would be no bueno for me but it’s still really cool! So even though I have straight, normal hair that doesn’t get oily, I could benefit from trying co-washing? I used to do this (I used Suave coconut conditioner and an argan oil/coconut one from Silk Naturals) and had great results with my thick hair. I don’t do it anymore, but I know it works really well for some people. I’ve gone sulfate free with my shampoos and it was an adjustment but works well! I have heard of this but it honestly freaks me out. I guess because I have such thin hair and it gets oily so quickly, the idea of not washing it with a shampoo just seems crazy. But I would be interested to try it, just for kicks. Yes, because of your hair type perhaps co washing would create more problems than fix them! I have not done this but I feel I don’t really need to because my hair is more oily than dry. I used to exclusively co-wash when I was getting my curly hair back into shape, but now I don’t do it as much. It is great for getting your hair healthy, just for me not great to do exclusively as a long term way to care for my hair. Great insight! Were you still incorporating shampoo now and again? Yes, as needed. I do stick to sulfate free shampoos though. How interesting! I color my hair red, and the color fades quickly. So I only wash my hair 2-3 times a week depending on the season. I also am a runner so I don’t think I could give up my shampoo but this process does make sense. no, I don’t use products with sulfates. Red is the most delicate of dyes and fades the fastest. If I don’t want it to fade, I have to wash it as seldom as possible, stay indoors or wear a hat!